A pharmacy technician’s primary responsibility is to assist pharmacists with the fulfilling and dispensing of prescriptions to patients. Pharmacy technician programs help to prepare students to respond to the rising need for trained professionals to work in retail and institutional pharmacies. Students acquire the competencies to become an indispensable part of the pharmacy team. The call for pharmacists to assume a more clinical role in the pharmacy places increased responsibility on technicians, makes certification an important requirement for employers. More employers are requiring technicians to become nationally certified. The training that prepares students for entry-level employment will also include preparation for success on the certification exam. Students will gain a broad knowledge of the role of the technician, dispensing medications, and updating patient profiles. In some settings, technicians may perform many of the same duties as a pharmacist, but the pharmacist must check all medications before they are dispensed to the patient. Virginia College’s pharmacy technician program uses a combination of theory and practical instruction to help students pursue a career in healthcare. 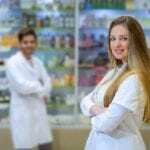 Students acquire the skills to support licensed pharmacists in a retail or institutional pharmacy. They learn how to stock inventory, dispense medications, assemble a 24-horu supply of medication, and update computerized patient records. Graduates will be able to classify body systems, use medical terminology, compound medications, analyze the organization of medical records, and use critical thinking in practice. Students are also prepared for success on a national certification exam to become a Certified Pharmacy Technician. The program requires completion of 60 credits. Modules include customer service, pharmacy terminology, pharmacy operations management, disease management, community pharmacy, pharmacy calculations, institutional pharmacy, and sterile compounding and aseptic techniques. The program is accredited by the American Society of Health-System Pharmacists and requires students to complete a pharmacy externship as part of the training. Tuition for the 55-week program is $24,220 and does not include books and supplies. 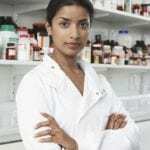 Palmetto School of Career Development’s Pharmacy Technician course equips students with the knowledge and competencies to succeed as an assistant to a licensed pharmacist. Over a period of 12 weeks (36 contact hours), students learn how to perform administrative tasks and develop technical competencies. Course topics include the role of the pharmacy technician, organ system, customer service, interpreting the drug order in the retail environment, preparation and dispensing, sterile dosage forms, pharmacy inventory, pharmacy calculation, and much more. Students also learn federal pharmacy regulations, using patient profiles, procedures for handling controlled substances, pharmacology and pharmacokinetics, and understanding the NDA/ANDA process for new drugs. Instructors will homework assignments, classroom demonstrations, quizzes, attendance, and tests to evaluate students throughout the program. Classes meet on Wednesdays from 6:00 pm to 9:00 pm for 12 weeks. Students who maintain an overall grade of 90% or over will have the opportunity to participate in a 40-hour internship during the course of study. All graduates are encouraged to take the PTCB exam to become a Certified Pharmacy Technician. Applicants must be at least 18 years of age, have an interest in the program of study, and provide proof of a high school diploma or GED. The total cost of the pharmacy technician course is $2,100 including the required textbook. A $200 deposit is required at the time of enrollment. The pharmacy technician program offered by Savannah Technical College is delivered completely online. It prepares students for employment in a hospital or retail setting and for success on the national certification exam. Each student is paired with an instructor for one-on-one assistance. After concluding the program, students who excel in the program will qualify for a 40 to 100-hour externship. Course modules include orientation to pharmacy, pharmacy law and ethics, pharmacy law and ethics, pharmaceutical calculations, pharmacology I, body systems, communication skills and billing, lab practice, and multi-body systems. Graduates will be able to communicate effectively with patients, understand the laws that govern practice, perform pharmaceutical calculations, process insurance billing, and define medical and pharmaceutical terms. In addition to theory, students will have opportunities to gain hands-on practice in retail pharmacy procedures through an online lab module. The program is designed for students to complete at their own pace – within a 12-month time period. Applicants must have a basic understanding of high school math and a high school diploma. Students who have a criminal record will not be eligible to participate in the CVS or Walgreens externship. A background check will be conducted prior to the externship. Tuition for the program is $2,495.